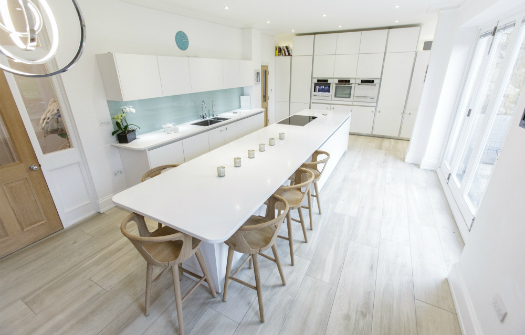 A changing lifestyle meant this family wanted to improve their downstairs area to combine a kitchen into an open plan living space. They loved the location of their house, but the layout no longer met their needs. 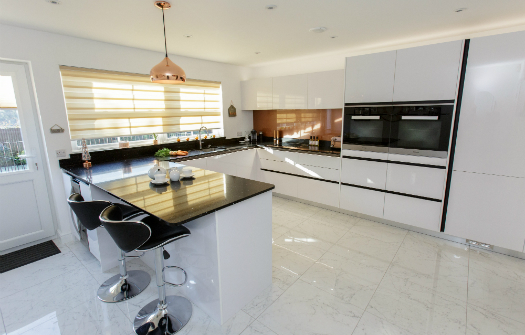 They wanted to incorporate unused rooms into an open plan design using unused rooms, and upgrading the family bathroom and cloakroom at the same time. 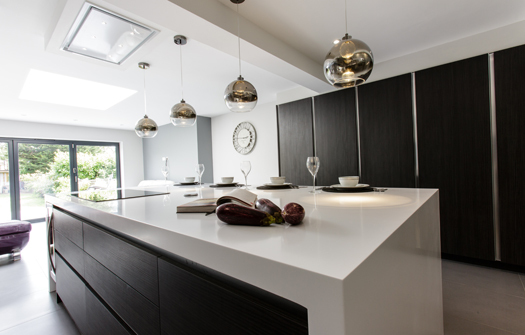 Sanctuary Kitchens & Bathrooms offered them a one stop shop for everything. 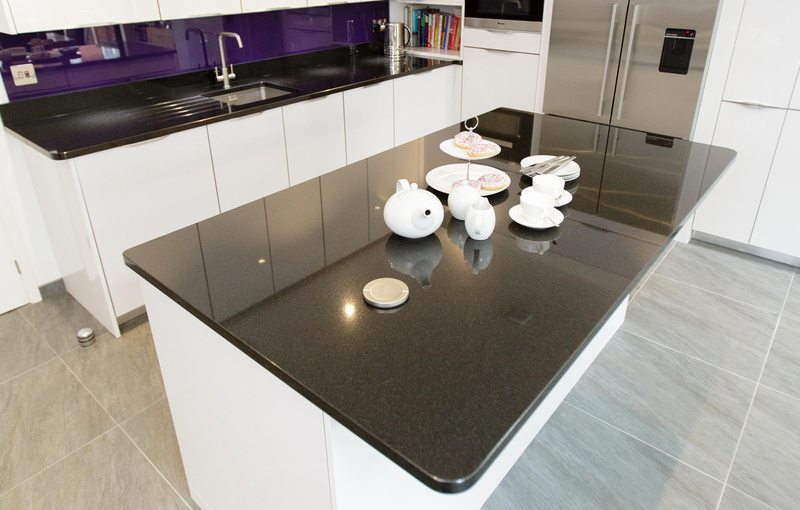 Designing the flexible space meant storing kitchen equipment out of sight as much as possible to keep the counter areas free. 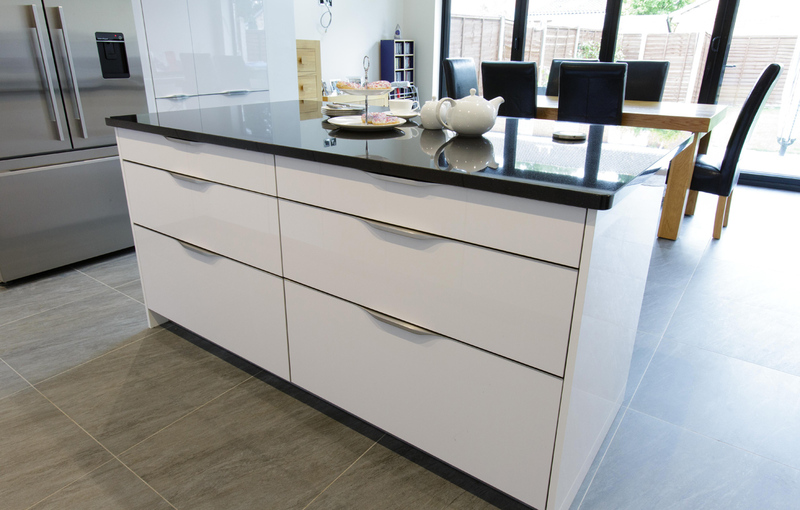 We used bespoke high gloss white units with integral capped handles which can be supplied in any size, plus plenty of deep drawers for crockery and pans. 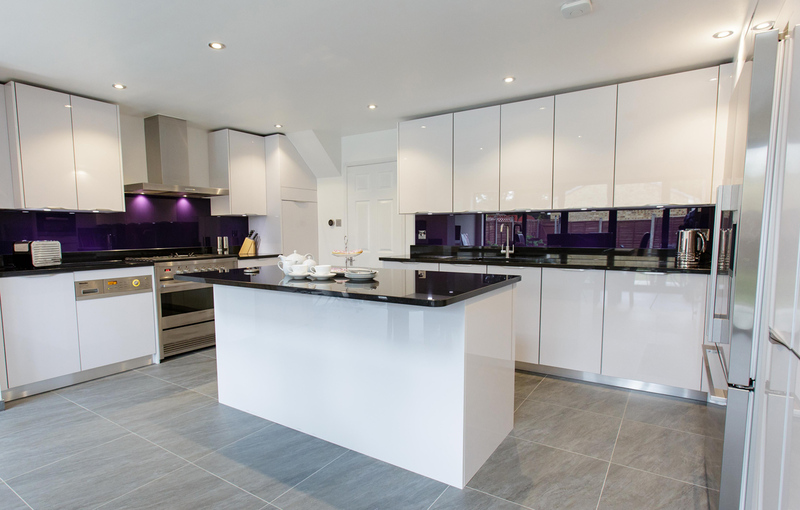 As keen cooks, the family chose a Fisher & Paykel American fridge freezer, plus a range cooker. 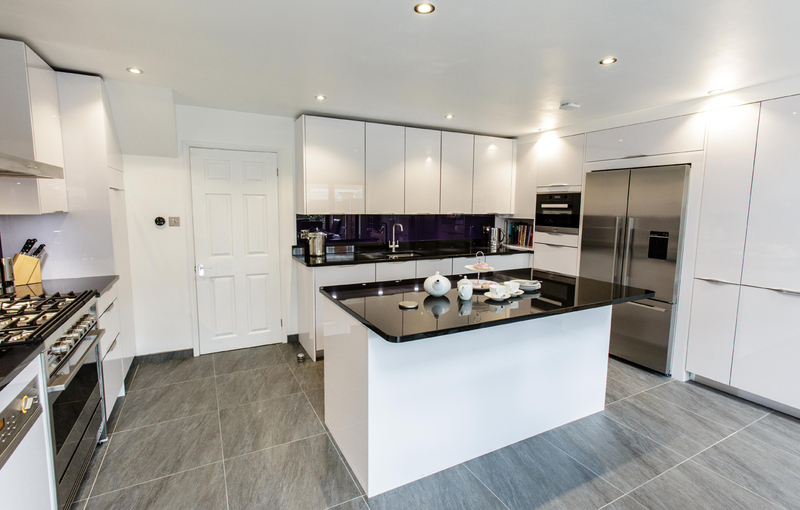 The integrated Miele appliances are hidden out of sight. 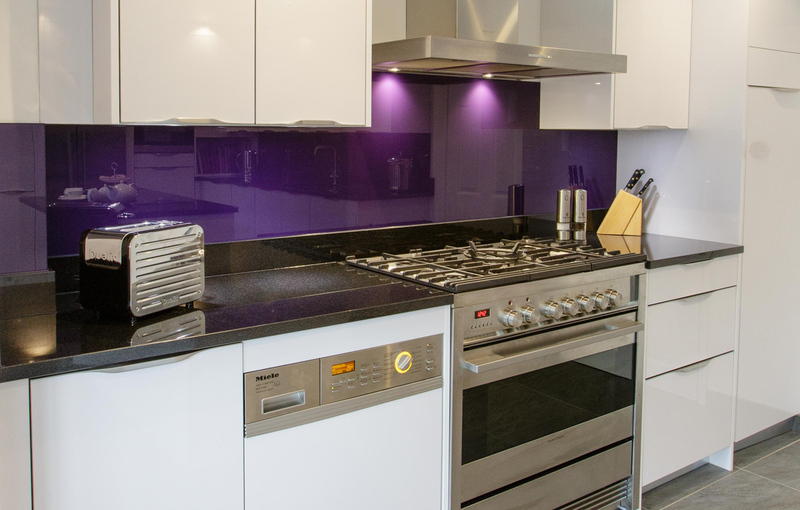 Quiet appliances and an extractor were vital to reduce noise and smells circulating in the open living space. 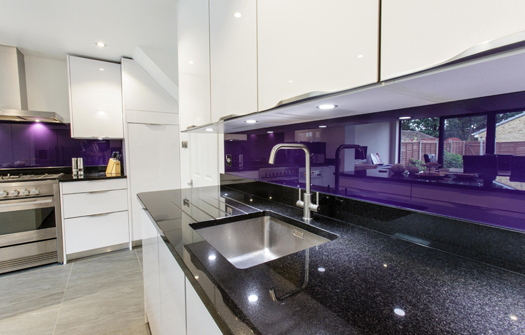 We used Nero Zimbabwe granite worktops throughout the kitchen with LED under-cupboard lighting reflecting the stunning blackcurrant beauty of the glass splashback.